This May Bank Holiday Weekend Borrisoleigh Drama Group present their latest production, The Trial on 28th, 29th April and 1st May. 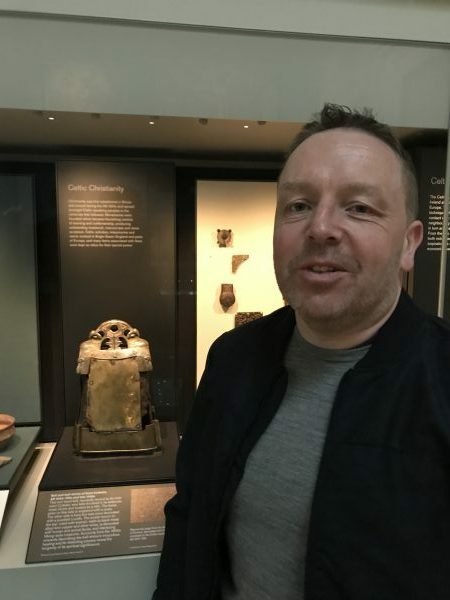 The play was originally written in Irish as An Triail, by the Irish playwright Máiréad Ní Ghráda and is part of the Irish language curriculum for the Leaving certificate. The play is set in Ireland during the 1960s and deals with the pregnancy, and subsequent single motherhood, of a young woman (played by Antoinette McMahon) who is shunned by her family, spends time in a mother and baby home and in some unsavoury accommodation in Dublin. The Trial goes back and forth between “flashbacks” and the trial. Contains adult themes, suitable for mature audiences. People are advised to come early as last year’s very successful run of The Chastitute performed by Borrisoleigh Drama Group was completely sold out over the 3 nights. 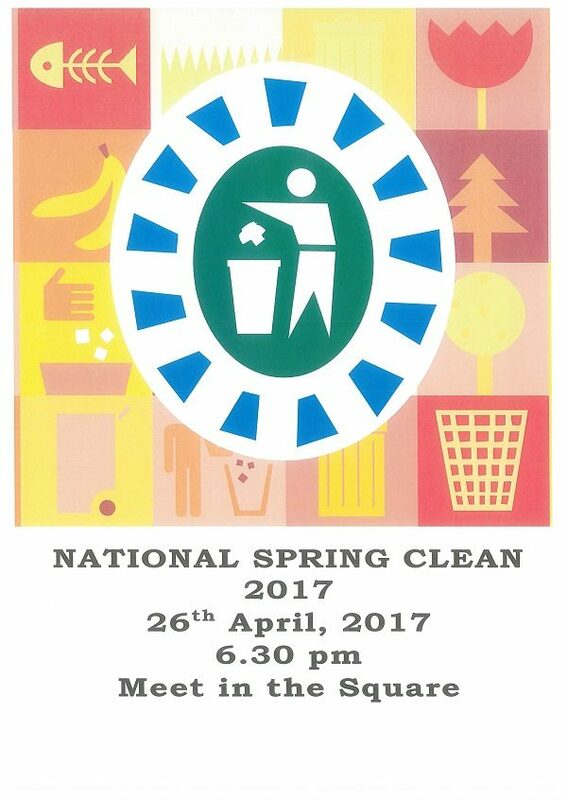 Please come along in your High-Vis vest to help with our Annual Clean up on 26th April. If every person in Borrisoleigh picked up just one piece of litter today, there would be over 708 fewer pieces of litter. Over a full year that would be over 250,000 pieces of litter. If you and your friends and family spend just 2 minutes from time to time picking up litter in your own area, you will not only pick up thousands of pieces of rubbish, you will also make a tremendous impact on your community. 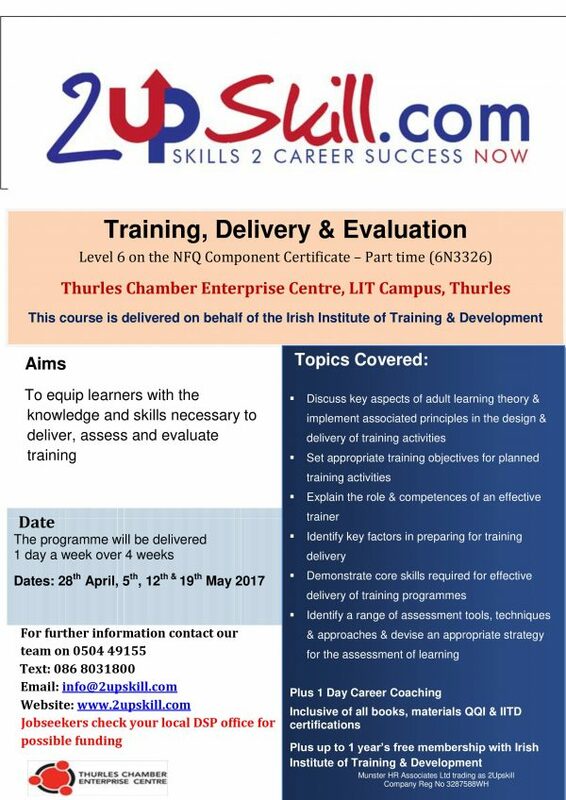 These courses are part-time (delivered 1 day a week over 4/6 weeks). Seniors lost out to Drom last Sunday in the Senior League County Final. Although they led at half time (0-06 to 0-02) the play turned in Drom’s favour in the second half. Down Maria Curley at half time due to injury and Drom making some positional changes meant that Borris-Ileigh was the weaker team in the second half. Final Score Drom-Inch 3-09 to Borris-Ileigh 0-08. Scores from: Nicole Walsh 0-05, Alice Fogarty 0-02 & Mary Bradshaw 0-01. Best for Borris-Ileigh Teresa Ryan. 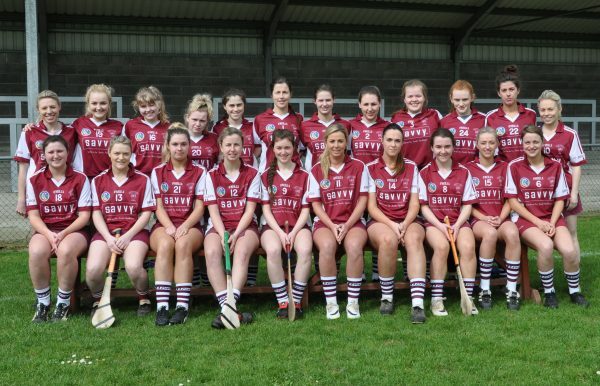 PANEL: Emma O’Meara, Niamh McGrath, Avril Ryan, Julieanne Bourke, Noirin Stapleton, Teresa Ryan, Maria Curley, Aedín Hogan, Tara Mockler, Ailish O’Connell, Alice Fogarty, Nicole Walsh, Catriona Maher, Mary Bradshaw, Trisha Hogan, Aoife Delargy, Marese O’Connell, Sarah Louise Costello, Eimear Lyons, Jane McCormack, Sarah Kinane, Katie O’Meara, Cloda Scanlon & Kate Delaney. U14’s had a great win over Kildangan on Thursday last. A tough and exciting game with great performance from this team. 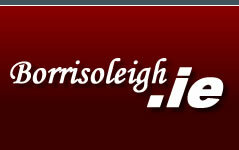 Final Score: Borris-Ileigh 3-03 to Kildangan 2-03. Scores from: Emma Doolan 3-00 & Dani Ryan 0-03. Tues May 9th May v Burgess. U12’s are training hard and play there first game on Tuesday May 2nd at 7pm against Slieve Feilim in Drombane. U8 County Blitz is scheduled for Saturday April 29th at the Camogie Gounds, The Ragg. Many thanks to all who supported our CLOTHES COLLECTION last weekend. It is much appreciated. Camán Tipp Fun Run/Walk takes place from The Dome, Thurles on Bank Holiday Monday May 1st at 11.00 am. €10 Adult and €5 per under 16. 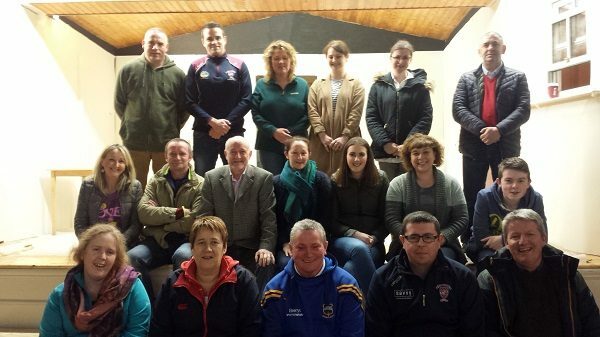 Support your Tipperary Senior Hurling and Camogie players in a unique joint fund raising event. Stars from both teams will be present on the day to meet supporters and this will be followed by a Senior team open training session. 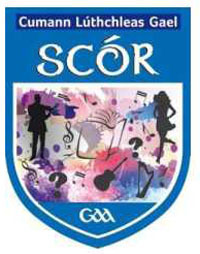 Tickets available from any camogie committee member or by contacting 087 4380801..
Scór will make a presentation to Katie Shanahan in the Marian Hall on Wednesday 3rd March. All are welcome. We are hoping that as many people as possible will attend in order to give Katie a good Borrisoleigh send off. Katie will sing in the All Ireland Final in Belfast on Saturday 6th May. Seán Ryan, Mountkinane with his cousin Michelle Black of Hastings whose mother Teresa Gleeson hailed from Glenbreda. 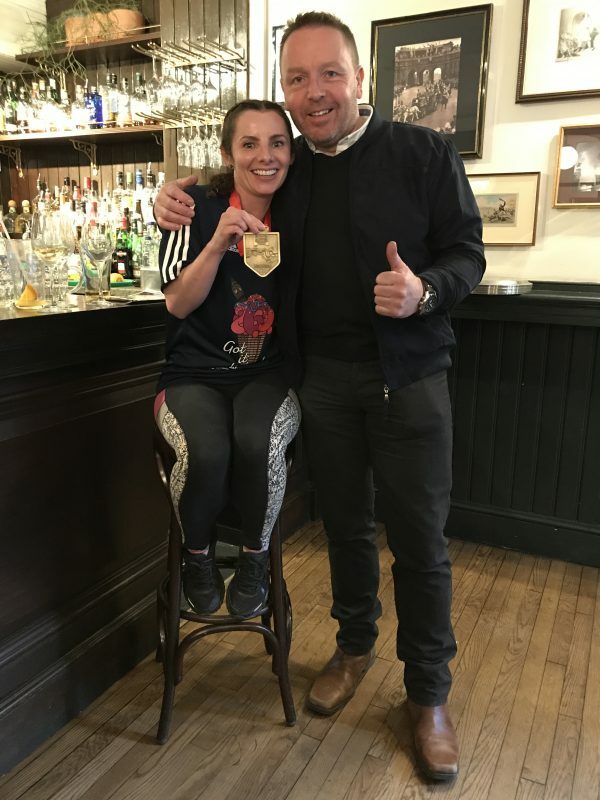 Michelle had just completed the London Marathon. Michael Lynch is from Durban, South Africa and his mother Nora Ryan (Gerry) is from Mounkinane while Fergal Nolan’s mother Mary Gleeson is also from Glenbreda. 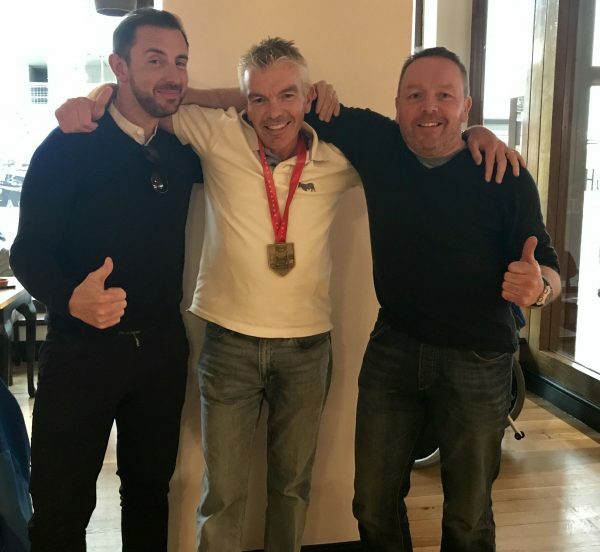 Congratulations on your fantastic achievement, and to Michelle for raising over £4,400 for The Sara Lee Trust Fund and the Julie Baird Chemotherapy Unit! 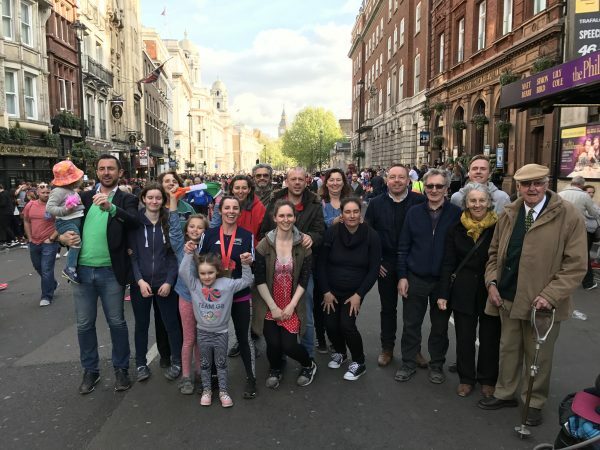 Michelle and Michael had great support from their family on the day including sisters Mary Nolan and Pauline O’Shea (née Gleeson) from Glenbreda. 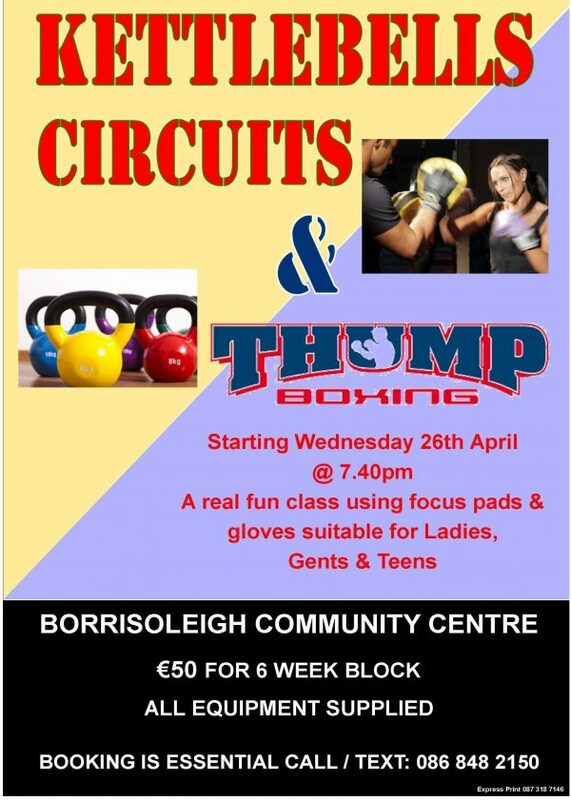 Five-night course, beginning Tuesdays from 25th April 7pm, with the option to add-on Paediatric / Child First Skills for a following two nights at Thurles Order of Malta, Bohernavroon, Thurles. Cardiac First Responder / Defibrillator, one-night course, 26th April 7pm. The new first aid for work, First Aid Responder FAR Course, three Saturdays from 13th May 9am. Contact 087 2390 111. 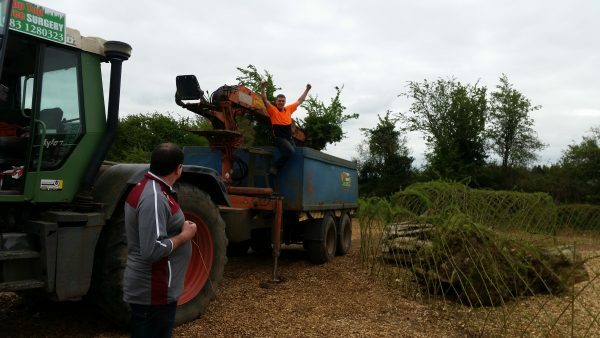 Keith Ryan from Tipp Top Tree Surgery giving his all as usual, with the development of the Remembrance Garden and Fairy Trail in Borrisoleigh. 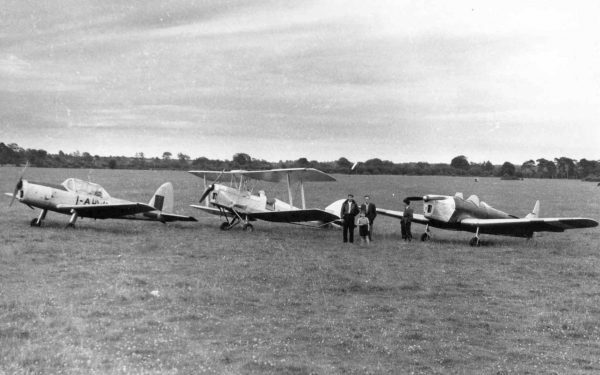 Aeroplanes landing at Garrane on Cooke’s farm.